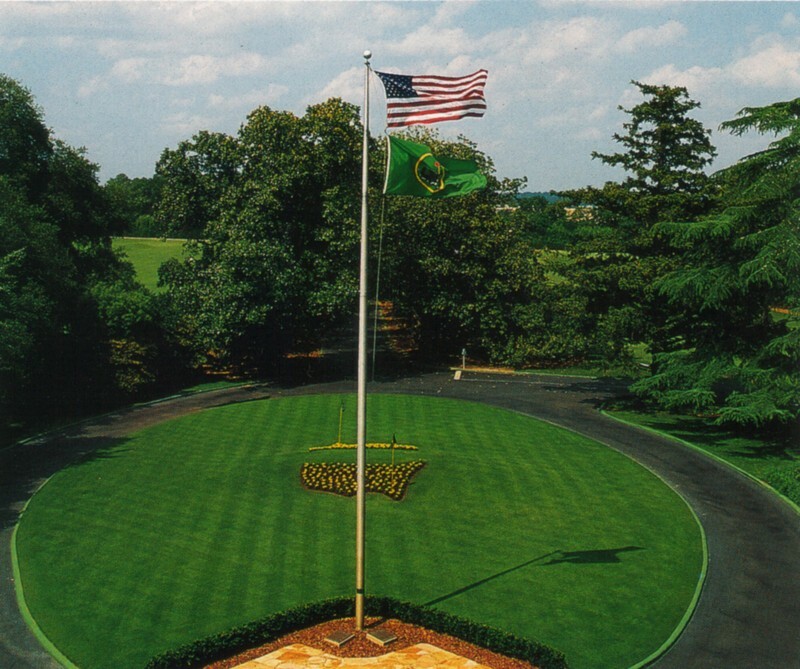 The photograph above shows the circle at the end of Magnolia Drive, in front of the Augusta National clubhouse. Everything is immaculate, including the green paint on the curbs—which is touched up frequently as the tournament approaches. The photograph below, which was taken in 1947, shows the same circle as it appeared during a period when the club was still strapped for money and couldn’t afford to pay the same attention to detail (or to pansies). At the base of the flagpole in the photograph at the top of this post are plaques commemorating the co-founders of the club and the tournament: Clifford Roberts and Bobby Jones. The plaques are the only memorials to the men on the property. 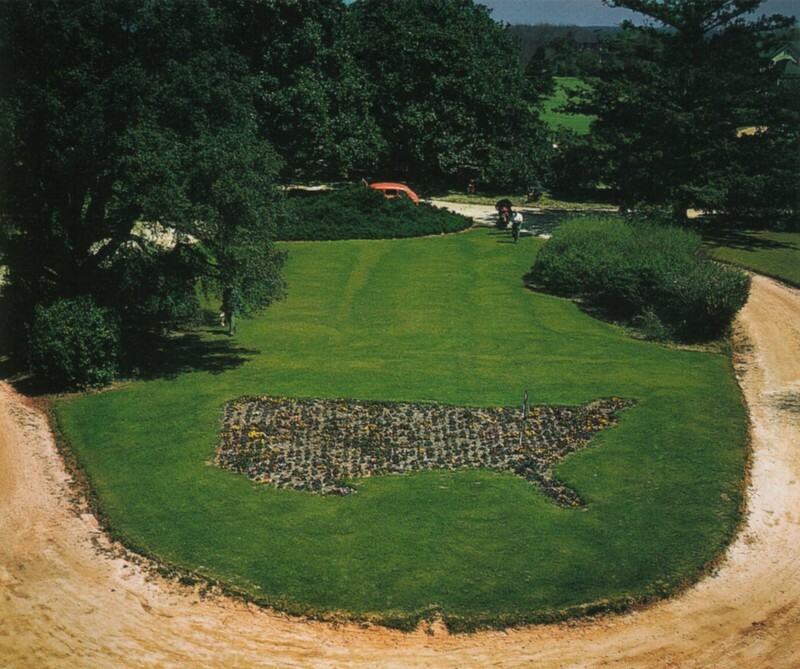 In 1941, two new Augusta National members—James Middleton Cox, a newspaper publisher, who years earlier had served three terms as the governor of Ohio, and his son, James, Jr.—proposed erecting a large statue of Jones near the clubhouse, not far from what would later become the site of the Eisenhower Cabin. Jones and Roberts were deeply unenthusiastic about the monument, and both were relieved when the Coxes, at Roberts’s suggestion, shifted their attention to the possibility of building a hall of fame on club property. I’ll have more to say about the hall of fame in a few days. This entry was posted in Golf Courses, Masters, Masters Countdown, Tournaments, Uncategorized and tagged Augusta National, Bobby Jones, Clifford Roberts by David Owen. Bookmark the permalink. Mr. Owen, I am reading your book,” The Making of The Masters.” By far the most informative I have read detailing the Masters. Great reading! Definitely my most favorite tournament.